When I walked into Everyone Can’s Sale headquarters, I was greeted by what I can only describe as a gaming nirvana: a row of huge screens adorned the walls, and a row of bean bags sat lined up in front of them. A driving wheel sat off to the left, and I spotted a number of other devices, including a Nintendo Switch, scattered about. Whilst the room was darkened and vacant at the time of my visit, it was clear that getting people in here wasn’t going to be a hard sell. 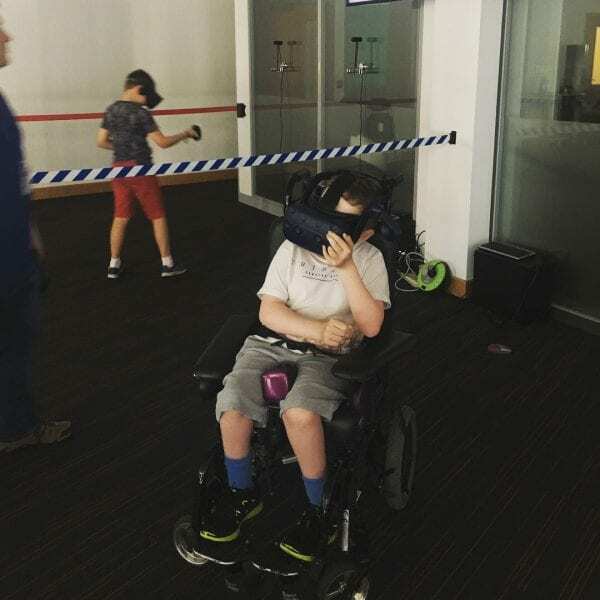 And so it has proved for the increasingly popular Everyone Can, a Manchester-based charity whose remit is to help the disabled with all things accessibility. In particular, however, much of their focus over the last five or six years has been helping disabled people play video games. I sat down with Julian Lee (General Manager), Paul Sullivan (Gaming Manager), and Nikki Jones (Community Engagement and Fundraising Officer) to find out more about the charity’s work. “Basically, we look at existing technology and match that to the needs of disabled people. Whether it be controlling their environment, whether it be reading, writing, or indeed having fun, which is where the gaming comes,” explained Julian. Paul expanded on this, saying, “Getting (governmental) funding for gaming is incredibly difficult. It’s only been recently in the last five or six years that we’ve been able to offer that kind of service. But children are children; whether they’re disabled or not, they just want to have fun. That’s why accessibility is important, to enable them to play alongside their friends, siblings, and able-bodied people. Our conversation moved to the more practical aspects of providing such a service, and the kind of disabilities Everyone Can aimed to cater their services to. Everyone Can, as their staff explained, help people with an extremely wide range of disabilities, both physical and mental. Their core service is split into two main arms: individual assessments and open sessions. Individual assessments are a more bespoke service, aiming to “try and help (individuals) in whatever they’re trying to achieve” by recommending them a range of specially designed technologies. 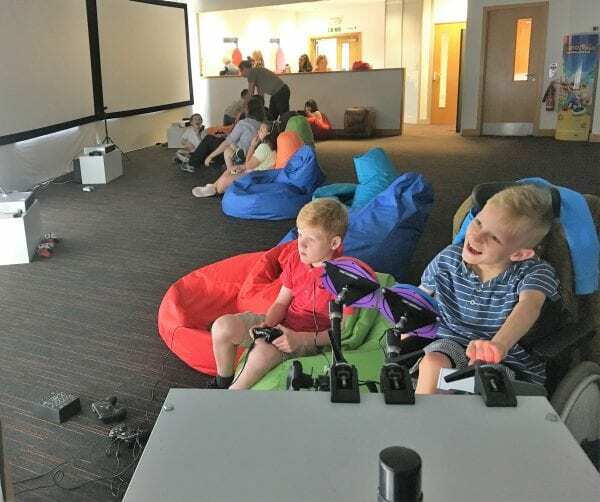 The open sessions are “about gaming together,” and focus on getting visitors playing local co-op games in a relaxed, sociable and purpose-built environment. 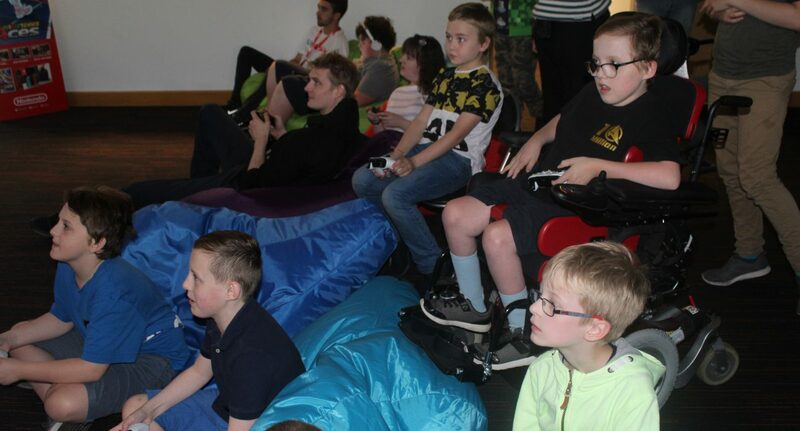 Accordingly, whilst some of Everyone Can’s roster of games are niche games specially designed for certain types of disability, the main game names that came up were familiar ones: Mario Kart, Rocket League, FIFA, Gang Beasts, and similar titles. Whilst the Everyone Can team were upbeat about everything their technology could achieve, it was tempered with the kind of realism that years of experience brings. “I don’t think there’s a game that you can make that is fully accessible. There’s levels of accessibility and games for different accessibility traits. If you made a game that was totally accessible, it probably wouldn’t look much like a game,” explained Julian. What could not be played down, however, was the positive impact that the charity had on the lives of those it is dedicated to helping. “The difference we’re making, you can see it in the smiles, the laughter, the noise level. It’s the sound of fun. It’s a sound every person, every kid, should be able to have,” said Julian. I got the sense that Everyone Can were thriving and growing – Nikki had said as much – but, like for most charities, securing funding has never been easy. Paul, in particular, was vocal about the the difficulty they could sometimes have in explaining the social benefits of gaming to governmental bodies and society in general. I knew what Paul meant. Fun, in the view of Everyone Can, should be an end in itself, never mind the numerous social, developmental, and psychological bonuses the team had observed. As Julian had said earlier, fun is something every person should be able to have. “The question of funding always pops up with issues like, ‘what are the benefits?’ And with it being gaming, and gaming being responsible for most of society’s evils, it can be difficult. Gaming can be such a force for good, but it can be difficult to convince the people who write the cheques, who often aren’t gamers,” said Paul. This frustration, I imagine, is fairly common to all charities, being, as Julian pointed out, produced axiomatically by a lack of government funding. And like all charities, Julian emphasised how reliant they were on donations, volunteers and fundraisers in order to keep on doing their work. “We don’t charge for what we do, but we do cost,” he said, wryly. As for their own work, Everyone Can were committed to continuing their core mission whilst constantly adapting to the ever-changing landscape of game design, a discipline Jason Schreier compares to constructing a building in an earthquake due to its frenetic nature.